This ‘Blueprint for the Accelerated Development of Manufacturing in Nigeria’ breaks a new ground in Public-Private Partnership (PPP) over the articulation of policy for the manufacturing sector in Nigeria. 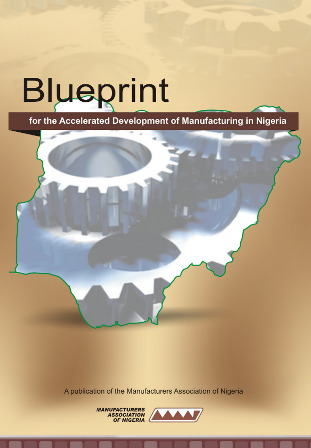 The Blueprint produced by the Manufacturers Association of Nigeria [MAN], focuses on multiple issues that, over the years, have affected the performance of the sector. It identifies some challenges that robbed Nigeria of remarkable benefits inherent in manufacturing, similar to experiences and developments in the new and emerging industrialized economies.